One of the most recognised brands of Webit.Festival, the Marketing and Innovation Summit, is once again bringing together the top CMOs, CTOs and CIOs from the advertising world, broadcasters, publishers, and ad/media/digital agencies. 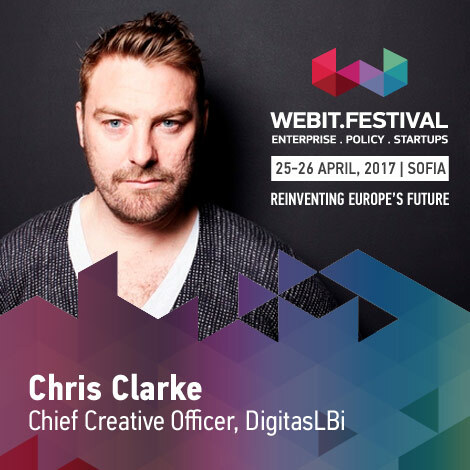 During the 25th and the 26th of April, Webit.Festival 2017 is the place to be in Europe if you want to hear about the latest trends in marketing, media and how the digital transformation is continuingly changing the whole business world. We have 3 new top-flight speakers in our lineup for the Marketing and Innovation Summit! They include top executives from huge marketing agencies, so read our guide to taking part or find out more about our latest speaker additions below. 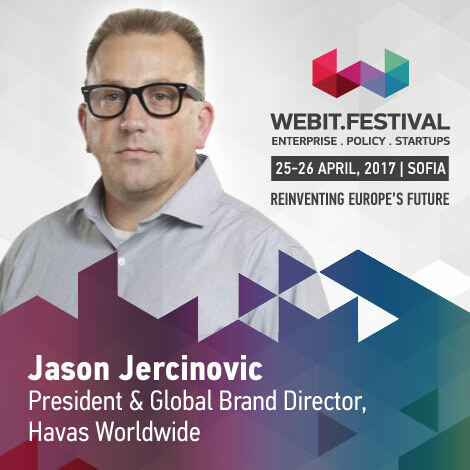 Jason Jercinovic, Global Brand Director & President of Havas Worldwide. Jason is a digital marketing guru with more than twenty years experience in technology and advertising. He had been working for the campaigns of sports giants like Nike, celebrities like Justin Bieber and Taylor Swift and so on. His previous experience includes heading up the Havas Worldwide in Australia, working on Global accounts at Intel and Dell and for clients like Sony Australia. Jason believes that the future is cognitive and the way we can use cognitive technology and virtual reality for brand development. “No one knows what will happen next. Success will come to those who are more adaptable. Respond to change and opportunity by knowing your user’s pain and needs. 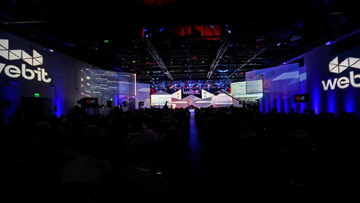 Cognitive is the competitive advantage enabling partnership between people and computers”, he concludes. 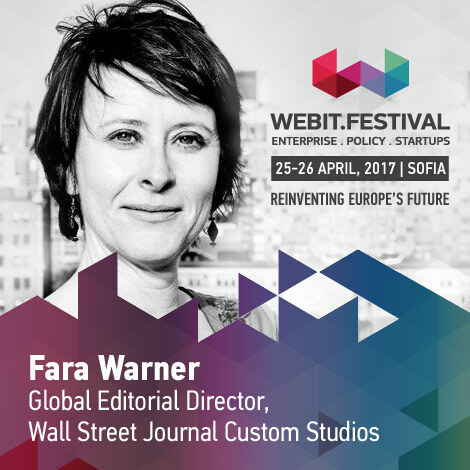 Fara Warner, Global Editorial Director at Wall Street Journal Custom Studios. This is the in-house content marketing agency of the media giant, exploring variety of topics. For example, Farah and her team were hired by Netflix to hype the huge successful TV series ‘Narcos’ with native-ad showpiece. Fara is also a professor of Journalism at the University of Michigan and is the author of the business book “The Power of the Purse: How Smart Companies Are Adapting to the World’s Most Important Consumers–Women.” As editorial director, she oversees all the aspects of the agency’s editorial from editing freelance work, thinking of new ways for distribution and taking and reporting for the project. In the past she has written pieces for the New York Times, Brandweek, Fast Company and other national publications. She has more than 20 years of experience and is the reciepient of the 2006 diamond Award from Women in Communications for her work illuminating women’s issues in media. Chris Clarke, Chief Creative Officer of Digitas Lbi. He is responsible for the agency’s creative production worldwide. He is famous for his bold views on number of topics published in worldwide media. Chris is an award-winnig creative with more than 20 years of experience in the digital industry. He has worked with major clients like Sony, Samsung and Coke. Chris is often in list of the most influential creative directors of the year. He has received accolades from Cannes in the Cyber Lions, D&AD, LIAA, Campaign Digital, Campaign Direct, Campaign Big Awards, Revolution, BIMA, Webby and Lovie awards. Chis is regularly asked to speak about digital culture and advertising at events as diverse as Cannes Lions and Bestival. He came to Lbi from Publicis owned Digitas, where he was President and Executive Creative Director of the UK agency following a stint as European Executive Creative Director for Modem Media. Prior to that Chris was Executive Creative Director at Wheel, a company he joined with its acquisition of Swedish hotshop Abel & Baker which he had helped to set up in the UK. Main topics on the agenda of the summit will be the rising use of virtual and augmented reality, especially in the digital entertainment, how consumer empowerment is driving new brand opportunity, brand social strategies, digital and programmatic advertising, metrix and data, video and mobile video marketing, the future of artificial intelligence in marketing, creating relationships with audience, benefits of storytelling in marketing and many more. Previous speakers at the Marketing and Innovation Summit are top level executives like Ward Van Duffel, VP and General Manager Direct to Consumer Lego, Benjamin Faes, Managing Director PBS Google, Anosh Thakkar, CTO Philips, Jim Rosenberg, Chief Digital Officer UNICEF, David Moore, Chairman of Xaxis and President of WPP Digital, Jay Altschuler, Director Global Media Unilever, Pete Blackshaw, Global Head of Digital Marketing and Social Media Nestlé, Norm Johnston, Chief Digital Officer Mindshare Worldwide, Dr. Torsten Wingenter, Head of Digital Innovations Lufthansa, Tom Bowman, VP, Strategy&Operations, Global Advertising Sales BBC World. The Marketing and Innovation Summit is also great for networking – the next business opportunity could be waiting for you right there. Listening to the great presentators, you can also learn a lot about the way you’re a running your business and its marketing. To buy your tickets for Webit.Festival Europe 2017 (EarlyBird expires soon), click here. StartUP? Apply for the Founders Games Challenge by Webit.Foundation and get an opportunity for free festival tickets (500), free exhibition table (100) and opportunity to win 200 000 EUR (only 1), click here. 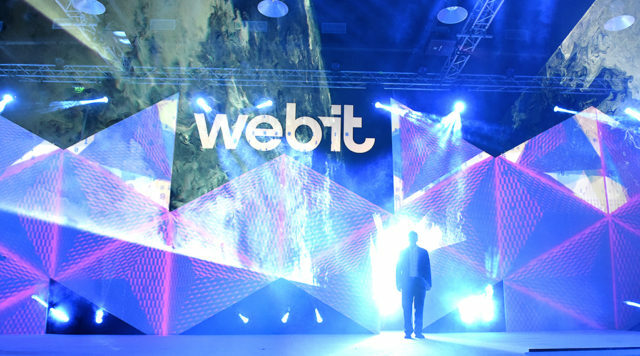 For more information on the Global Webit Series and our events in Dubai, Singapore, New Delhi and Istanbul: www.Webit.Org.